Because of her fathers death, Leola experienced a turbulent entrance into childhood that included tumultuous experiences with molestation, deep depression, low-no self-esteem, sickness, and rejection. Because of these experiences as a child, her life continued in a downward spiral into her adulthood. Leola went through life feeling as if she was “God’s favorite person to pick on” even to the point of having no faith in God. Proverbs 22:6 declares “train up a child in the way he should go: and when he is old, he will not depart from it.” Leola’s mother taught her children to fast and pray, and she kept them in church. Leola was raised under a powerful spiritual leader, the late Bishop H. W. Falls of New Zion Temple Holiness Church in Houston, Texas. Because of the call of God on her life and the training that she had received in her home, she knew that she had to return to God. Today, Leola is dedicated to help those who feel as she once felt...hopeless. Leola reminds those without fathers that God is the God of Psalm 68:5 “ a father of the fatherless, and a judge of the widows, is God in his holy habitation.” Her mission is to bring hope, encouragement, empowerment, and clarity to those that are fatherless. She brings understanding to the body of Christ that God is more than God...he is our Father as Jesus called him in Matthew 6:6. Leola serves as a licensed minister at Alpha and Omega Holiness Church under the leadership of Overseer Gladys Law. 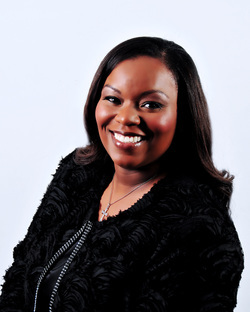 She is the Founder of Daddy’s Girls Ministries and holds a conference yearly in the Houston area. She currently holds the position of Youth Pastor in the World Wide Fellowship in Houston, Texas, under the leadership of Bishop William H. Sherrard. Leola is the proud wife of 16 years to Terrence Gaul Sr. , and mother of five wonderful children. Her ministry captures the hearts and minds of believers and unbelievers alike as she shares a candid portrait of who the Father really is.